Ohodnotené hosťami po ich pobyte v ubytovaní (Nature Lodge Sepilok). Rezervujte si pobyt za výbornú cenu v ubytovaní Nature Lodge Sepilok, ktoré od nedávno ubytovaných hostí získalo hodnotenie 9. 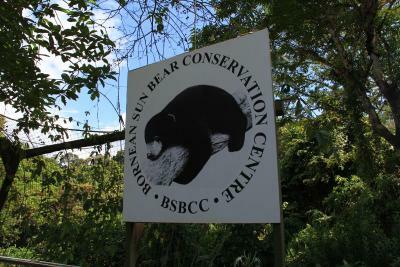 Great location as only a 15 minute walk to Orangutan and Sun Bear Sanctuaries. The buffet breakfast was really good as had a range of items to choose from. There is a local shop on site which sells the basics but please be advised nearest ATM is about a 15 minute car journey away. We took a grab from the airport for 15 ringgit here. Food was ok. 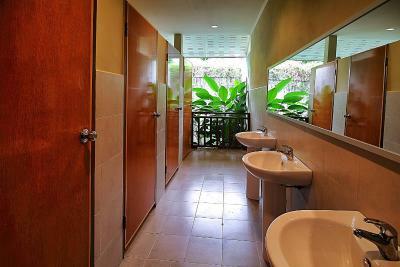 The rooms and the outdoor bathroom are beatiful. 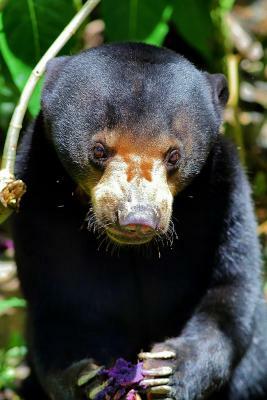 It's walking distance to the sun bear and orang utan reserve. The room was lovely and the bathroom was outdoor and modern. The restaurant was very friendly and the food was nice. 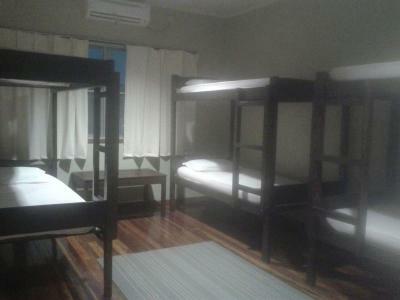 The room was huge with a nice clean outside shower and toilet. They cleaned the room and provided water tea and coffee. 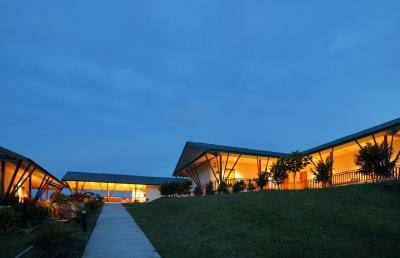 It was also a great location for walking to the sanctuaries. This place is amazing! The staff is very friendly and helpful. The dorms are squeaky clean and have AC. The bathrooms are spotless too. Breakfast is outstanding as well. 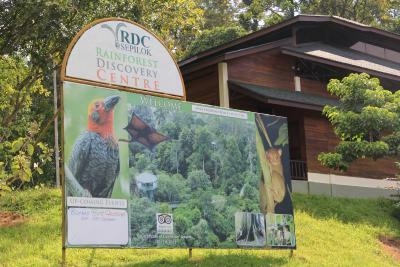 It's within walking distance to the orangutans recovery centre (1.1 km) and the rainforest discovery centre (700 metres) and 30 minutes by shuttle bus (that comes to reception) to see the proboscis monkeys. The staff are terrific and arranged an overnight river cruise and stayed at their lodge ( would have stayed days longer if I'd had the time). I stayed in the female dorm and had the room to myself most nights. The restaurant provides an excellent breakfast ( included) of fruit, edges, beans, salad, sausages, toast coffee/tea and juice. The food was good for dinner. There is also another restaurant across the road for variety ( also good). 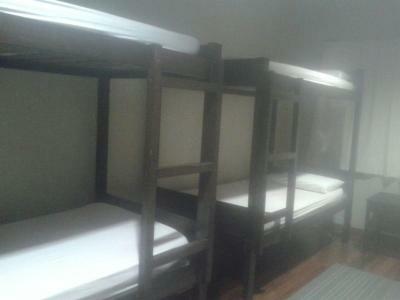 The beds were really comfortable and air conditioning worked almost too well. Everything is very clean and well managed. Based upon what I heard from people staying in sandakan, this was a much better choice. Listened to the birds and watched the sunset off the balcony. Location was amazing, the whole place was beautiful, great little restaurant and all sorts of friendly travellers. Air con worked a treat, showers could have been better but other than that was top notch! 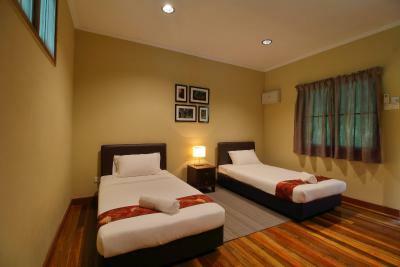 Clean comfortable dorm room, good shower facilities, friendly helpful staff. Restaurant on site, breakfast okay. 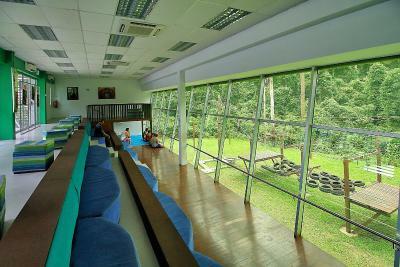 Close to orangutan and sun bear rehabilitation centre. Lovely staff. Very considered set-up. Beautiful gardens. 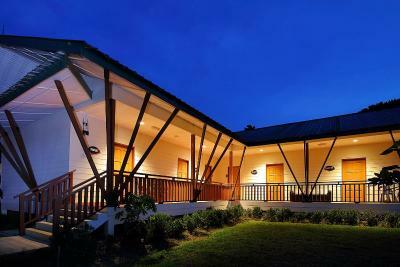 Clean, functional rooms with decks overlooking the gardens. 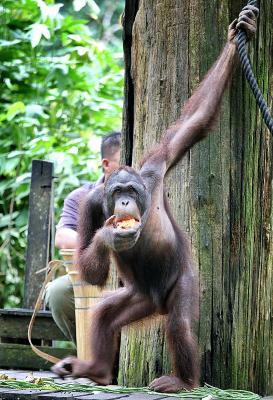 Great value for money and only a short stroll to the orangutan and sun bear centres. 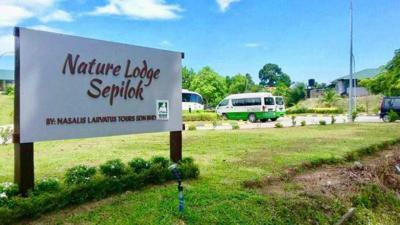 Nature Lodge Sepilok is offering accommodation in Sepilok. 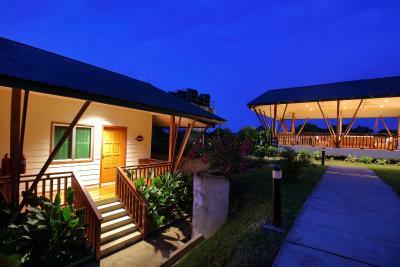 Among the facilities of this property are a restaurant, a tour desk and luggage storage space, along with free WiFi. Every room has a balcony with views of the garden. 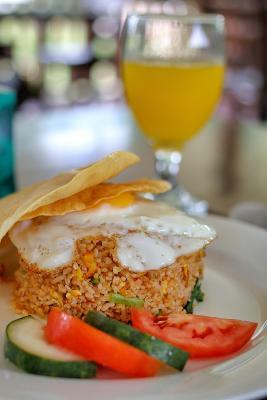 Continental and Asian breakfast options are available daily at the hostel. 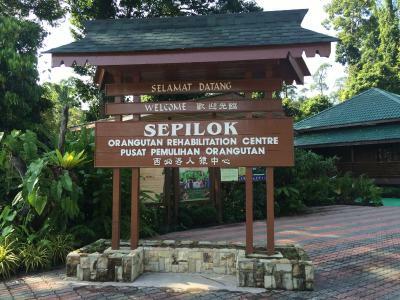 Sandakan is 24 km from Nature Lodge Sepilok. 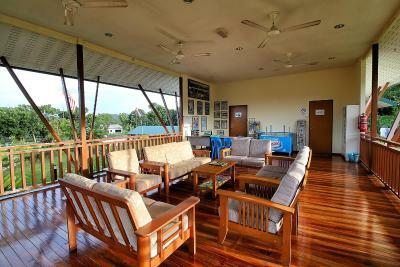 The nearest airport is Sandakan Airport, 16 km from the accommodation. Toto ubytovanie má najlepší pomer ceny a kvality v destinácii Sepilok! Hostia za túto cenu získavajú viac v porovnaní s inými možnosťami ubytovania. Ubytovanie Nature Lodge Sepilok víta hostí Booking.com už od 21. februára 2017. Kedy by ste sa chceli ubytovať v ubytovacom zariadení Nature Lodge Sepilok? Táto klimatizovaná izba s manželskou posteľou a balkónom je vybavená rýchlovarnou kanvicou. 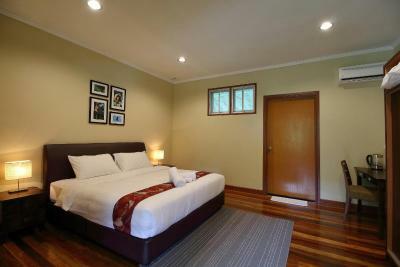 This twin room features a balcony, air conditioning and electric kettle. Toto lôžko sa nachádza v klimatizovanej spoločnej izbe s balkónom. 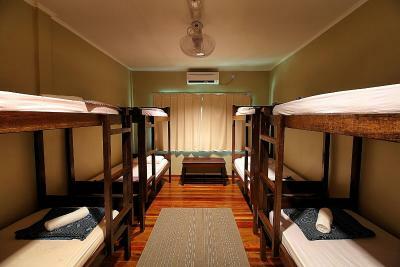 This bed in dormitory features a balcony and air conditioning. Váš názor nám pomôže vylepšiť túto funkciu pre všetkých našich zákazníkov. Ľutujeme, pri odosielaní nastala chyba. Prosím, skúste to znova. Našli ste všetky potrebné informácie o kúpeľni? Všeobecné podmienky Ubytovanie Nature Lodge Sepilok prijíma špeciálne požiadavky. Môžete ich pridať v ďalšom kroku! Jedno dieťa do 12 rokov pri použití existujúcich postelí: poplatok MYR 84,80 za noc. 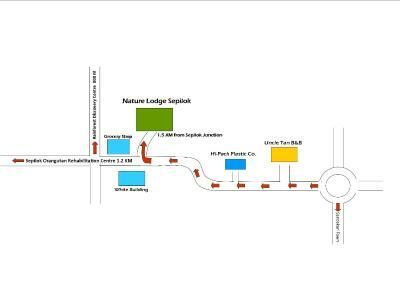 Nature Lodge Sepilok prijíma tieto karty a vyhradzuje si právo zadržať čiastku na vašej karte pred príchodom. Turistická daň 10 MYR na izbu a noc sa vzťahuje na všetkých zahraničných hostí. Daň nie je zahrnutá v cene ubytovania a je ju potrebné uhradiť pri registrácii. Daň sa nevzťahuje na osoby s platným malajzijským preukazom totožnosti alebo s platnou kartou MY PR o pobyte.